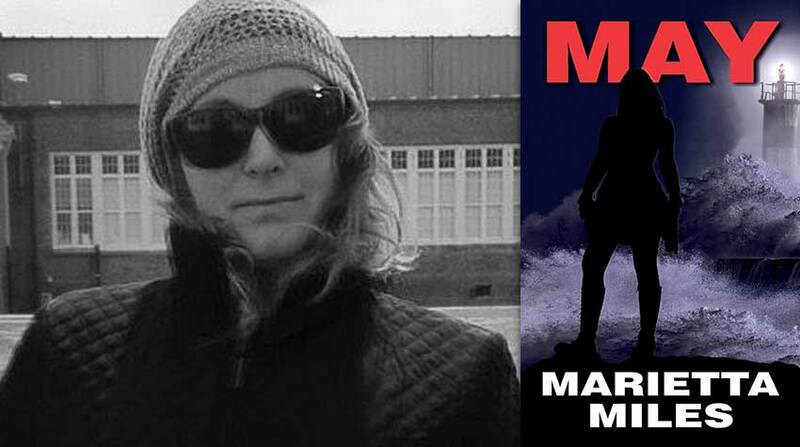 Those are the words of noir author Marietta Miles, in response to a question about her fiction writing. 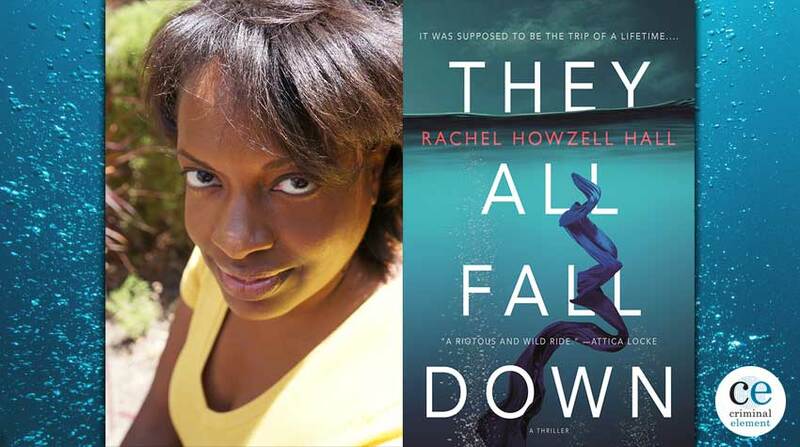 Miles utilized this technique of looking back at a character’s earlier life to perfection in her most recently published book, the 2018 novel May (Down and Out Books). The story shifts between past and present, as Miles’s omniscient narrator shows us the experiences of the titular character, May Cosby, back in her teenage and early adult years as well as when May is in her early-to-mid 30s. May is a hardened, undereducated but worldly wise, single woman. She lives in a small beach town in North Carolina where she works both as the caretaker of a group of vacation home rentals and a school bus driver. Her other means of income—one the IRS doesn’t know about—comes from selling marijuana to locals. Currently, it’s 1987. It’s offseason in the island town, and a big storm is about to hit. Residents have been told to evacuate, but May is among those determined to tough out the weather. She has to get the rental houses boarded up and sandbagged and then get herself ready to ride out the tempest and its aftermath. 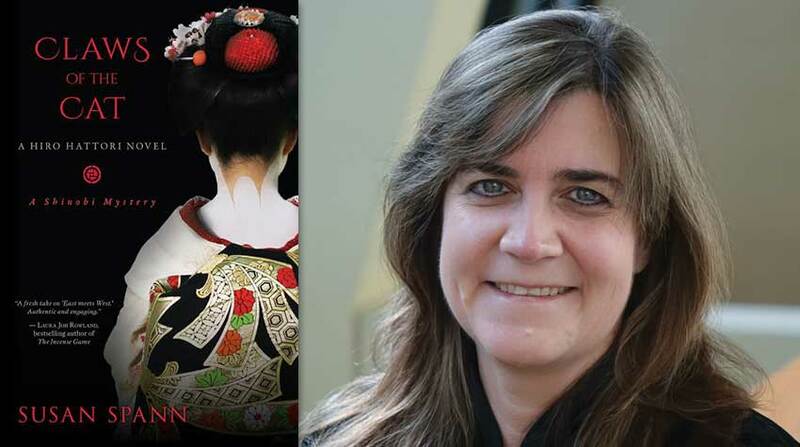 In the parts of the novel that look back at May’s past in the early ‘70s, the reader sees how a chain of events launched by an unplanned pregnancy made her the woman we see in the present. What Miles explores with May Cosby is how her primary character reacts to the threat of the oncoming storm while also interacting with two teenage boys who are hanging around and appear to be on a collision course with her. One of the kids is somebody May knows, a boy to whom she sells pot. He seems harmless enough. But the other guy is a violent, loose cannon who has drifted into the area and befriended the first boy, and he’s not harmless at all. The storm that kid carries around his being feels as threatening as the one being brought on by Mother Nature. 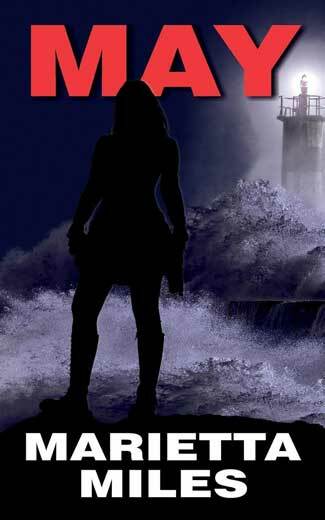 May is written in a sparse, no-nonsense, tough way that will appeal to enthusiasts of noir fiction. But what’s really at the foundation of the story is an atmosphere of emotional desolation. May and the two young boys are all people who were abandoned by their parents, in one way or another, when in their teens. No reader is likely to feel much sympathy for the rougher of the two boys, but in all three cases, we’re watching people who had to start figuring things out for themselves, without the protection and guidance from their parents, at that stage of life. The characters in May feel true, and so does the physical environment that Miles evokes. She does this in the descriptions of May’s young life in Louisiana and other parts but more so in the chapters that are in the present. The book is filled with vivid, makes-you-see-it-and-feel-it depictions of the neighboring beach towns in which the story primarily takes place. The throwaway T-Shirt shops, dive bars that cater to working-class townies, convenience stores that are always on the verge of being sites for lawless trouble, etc., put the reader squarely in the locale. And the combination of the relative quiet of the slow season with the impending noise of the coming storm makes for a highly compelling dichotomy. 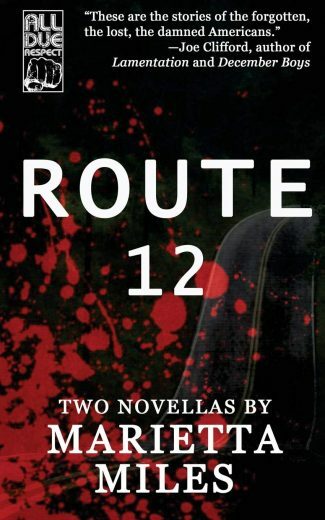 Miles’s first published book was Route 12, a pair of novellas released in 2016 by All Due Respect, currently an imprint of Down and Out. She’s also had short stories appear in a variety of outlets. “My first goal was to determine if the thoughts in my head were interesting to anyone other than myself,” she says when asked about her early days of writing with the intent to be published. I started writing short stories and sending them to editors. When I received positive feedback, edits, and began to get published, I worked toward submitting a story that was clean, with no need for editorial or grammatical edits. Ahem … still working on this. After a while, I started trusting my imagination more. I surprised myself by completing Route 12, and I wanted to get feedback. When I sent it to Mike Monson of All Due Respect, he was very encouraging and wanted to publish. The title piece of Route 12—set in 1970 in a rural part of Virginia—is similar to May in that it involves main characters who became permanently detached from their parents during adolescence. Percy Caito is a boy whose single mother, who often ran afoul of the law, was found by authorities to be an unfit parent and sent off to what seems to be a psychiatric facility. Percy spent the next span of time at a particularly brutal foster home. And when he leaves that institution at age 18, he goes back to his hometown full of bad intentions. Theresa White is a teenage girl who is more of a “normal,” relatable kid, in comparison to Percy. Her mother recently committed suicide, and her father—not up to raising her on his own from there—shipped her off to relatives. Currently, Theresa is living with her grandparents, who happen to reside in the same town Percy is now ready to ravage. The two lives become intertwined when Percy takes a room at a boarding house run by the family of a girl who becomes Theresa’s best friend. Route 12 and May take place in the ‘70s and ‘80s, at which time it was considered normal, if not expected, to get married and start a family while fairly young. … What you get from this is young, inexperienced, self-involved parents who are attempting, maybe, to raise a human. These circumstances can brew very serious dysfunction. Blind leading the blind. The effect a neglectful, absent, or abusive parent has on a child, still so vulnerable and needy, is long-lasting, if not permanent. Given the idea that monsters are made, it would seem adolescence is the most opportune time to make a monster. Or an angel. Like May, Route 12 is hard, sad, frightening at times, and expertly written. Miles’s narrator puts us in the place and time with talk of Room 222 showing on TV and the two teenage girls listening to The Five Stairsteps’ “Ooh Child” while hanging around together, as well as physical descriptions of the settings. The tale is hard to watch at times, as we are made to care about both Theresa and her friend Cheryl and worry what might become of them in their encounters with Percy, whose evil focus has settled in on both of them. Blood and Sin, the second of the two novellas in Route 12, is the briefest of the three stories contained in Miles’s two books. But a lot happens over its 57 pages. The time is 1964, and the places are two rustic towns in North Carolina. One major character is a popular pastor who has a secret history of evil deeds and runs a less-than-godly clinic that connects powerless pregnant women with people who want to adopt babies. Two other figures central to the tale are young women, both of whom were cut off from their parents at a young age (there’s that theme again) and have had an unplanned pregnancy shape their life. 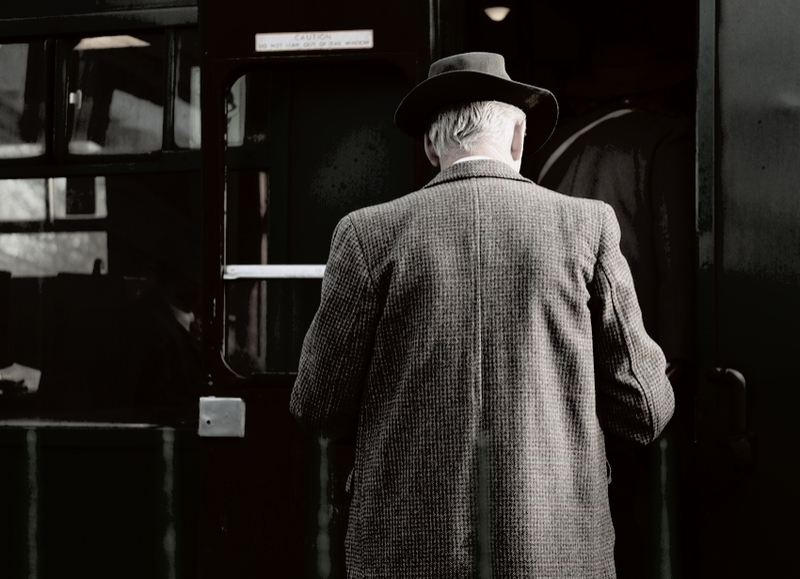 On Miles’s blog, she names Flannery O’Connor’s short story “A Good Man is Hard to Find” as being among her favorite literary works. Blood and Sin is a story that calls O’Connor’s work to mind, with its inspection of Southern Americans and their peculiar ways of acting out on their religious beliefs. Like May and Route 12, it contains scenes of sudden violence perpetrated by and against people who have become separated from their immediate family and isolated from societal protections and connections. Flannery O’Connor’s “A Good Man Is Hard to Find” absolutely threw me to the ground. It was such a journey, told so concisely, and the ending left me speechless. Joyce Carol Oates’s “Where Are You Going, Where Have You Been?” made me physically ill. I was overwhelmed by the telling and left with uncertainty after the end. It takes your innocence. Of course, there is Shirley Jackson. I remember seeing the film of The Lottery while in school. The following weekend I was at the library checking out a collection of Shirley Jackson stories. I was obsessed. I wore out copies of We Have Always Lived in the Castle and The Haunting of Hill House. I revisited Life Among the Savages once my children were mobile. The book made me laugh out loud. She had the ability to twist every emotion. I want to be able to do that. Some readers of Miles’s work may be inclined to wonder about the cinematic possibilities of the stories. Does the author herself ever think in terms of what could be made of film adaptations of her work? Well, yes. See, not only do I have a personal connection to each character in my books, but every story plays out in my mind as if it were a movie, as I’m writing. I’m in the scene because I’m a part of the character, but I also see the scene from the outside, as the narrator. I imagine everything an act or part might need to drive the most emotion. Sound. Lighting. Words. Rhythm. Yes, my books seem very cinematic to me, but I think they are supposed to feel that way. Bigger than a simple life. Big enough to write about. A follow-up to May is due this September, from Down and Out. We offer top-quality assignment help to students in UK. Assignment help uk is number 1 assignment help services like as manage the assignments in college and schools, in UK. studentsassignmenthelp.com work for providing academic assignment help Canada to the students who are looking for the expert’s guidance in their assignment so that they gain expert’s knowledge and score high marks. If you buy assignments online, you will get enough time to spend on other useful and social activities. We provide the best assignment help services in the UAE. Because we have many professional experts. Those have more than 10+ years of experience. So you take help our experts and get the best result. This is impressive ! I like the way of working and sharing the things over here. Students can get all the solutions at right place at studentsassignmenthelp our team is working to finish your problem like as we are giving operations management assignment help service to the students who want to get. Our best services are always open for students 24×7 so you don’t have to go else. Our best team is working to give top services.